Classified as | "Very Potent"
Looks: Nice size spear shaped buds not to leafy. Covered with thick trichroms. 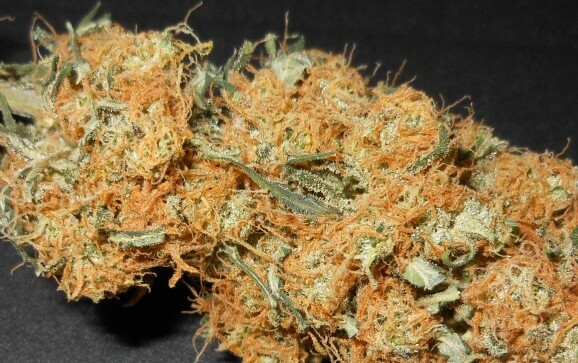 Smell: Has a light fruity aroma with a cheese undertone and ends with a nice hashish finish. Taste: The taste is a lot like the smell, light fruit and cheese with a hash finish. 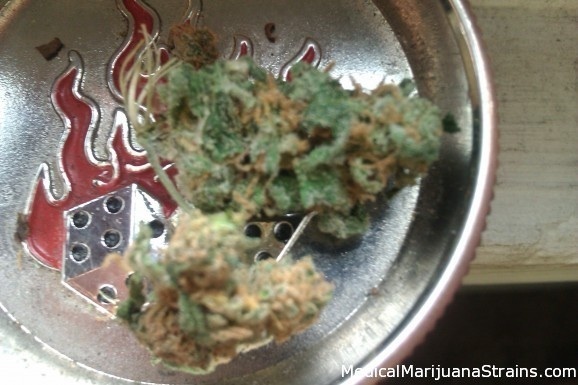 Looks: ****light green, dense, medium sized nugs covered in light orange hairs and completly douced in crystals. stuff shimmers in sun-light……. Effects: *Immediate, long lasting, very strong, a true one hit sh.. kind of strain.,. 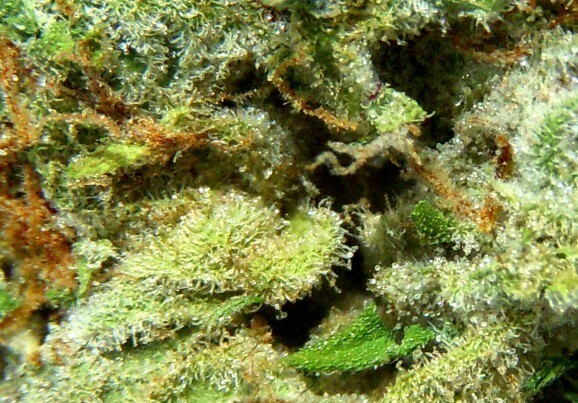 Potency: ..Very strong, very potent, high THC. Not for daytime use of first timers as it may be too much for them or for veterans to get things done. It will put you on couch lock for hours!.. Good Strain For: **Chronic pain, back pain, migrains, anorexia, nausea, insomnia, depression, anxiety…..
Looks: Very large nug with dark green leaves and a hint of blue spots. 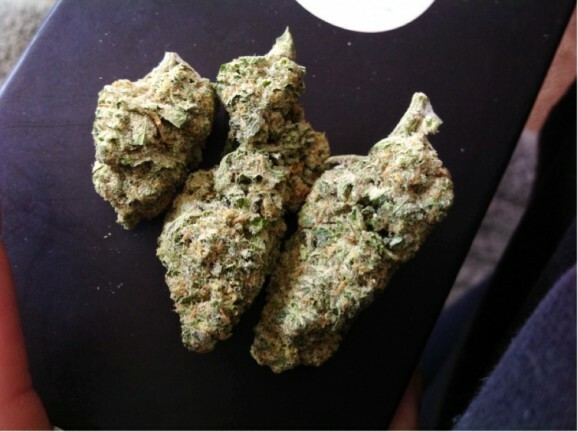 Looks: Nice And Dense, Light Green Buds Frosted over with Trichs and small light orange hairs woven through. Smell: Smells very Fruity but with a dairy smell as well kind of like a Fruit Yogurt. Taste: Taste like Juciy Fruit Gum with a Earthy Sativa taste at the end. 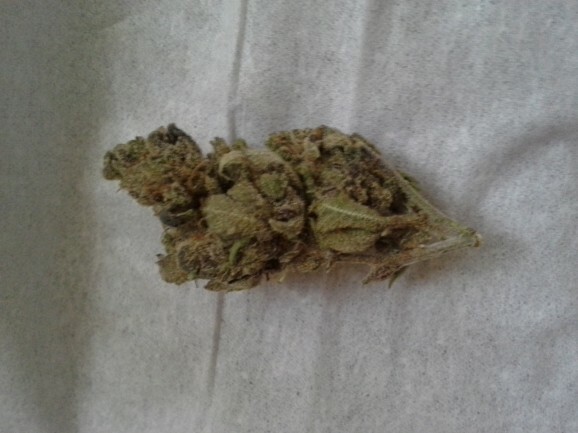 Effects: This Bud Is Potent, Up there with the best Sativa’s I have ever Puffed on. I get a great head high that makes my face go numb and my head feel dense and heavy on the first couple of tokes. Potency: Definetly the Most Potent Juicy fruit I have ever had. Most JF I have had is C+ or B+ but this stuff Is the Sativa version Of OG Kush for Me. Effects: This strain is very heavy on the eyes, even if your not feeling tired after smoking it, your eyes feel heavy enough that it is nice to close them for a minute, and before you know it you will be takin a nap. Not a work friendly strain by any means..but she sure gets the job done! Looks: Dense dark green buds (not purple) with lots of red hairs. Effects: Nice body buzz. Not a couch-lock high like pure indicas. Potency: Very potent:2-3 hour high off a few hits.